Over the past decade, there has been a dramatic shift in the way companies execute marketing campaigns. Today, marketers are using social media platforms and influencers to spread awareness of their products and services. Instagram is one of the most popular platforms for product marketing and engagement with consumers. 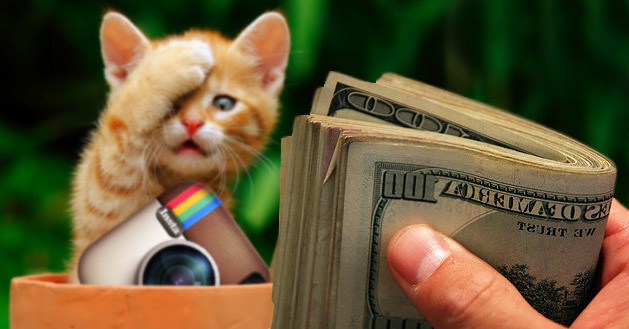 While many people only use it to share photos with their friends, you can use Instagram to make money, today. Many people think that you need a ton of followers to make money with Instagram, but that’s not true. The best marketers do not care about their number of followers, they care about their follower engagement. An Instagram user with 50,000 fake account followers is worthless to a company trying to spread brand awareness. On the flip side, if you have 100 followers that routinely comment on and share the content you produce, you can start getting paid as an influencer. While building a following on Instagram can be difficult, there are ways to make the process less painful. Over the past several years, many Instagram users have begun using bots to engage with other accounts. Basically, an Instagram bot will use Instagram for you, even when you’re too busy to do it yourself. Here’s how it works: first, you define the community that you want to engage with. List hashtags that are relevant to the product or service you want to sell. Define the type of posts you want to comment on and the users you want to interact with. Once you’ve configured the bot to work for you, you don’t have to do anything else. If you’re using a paid bot, it will run 24 hours a day until you stop paying. But what does it actually do? Instagram bots will take over your account and start liking posts, sharing content, and talking to other users through comments. The bot will scan Instagram for posts in the community you specify and engage with as many users as possible. Eventually, other people on Instagram will click on your page and start liking and commenting on your posts. Without even doing anything, you can generate a following of users in your community. Although brand partnership is a more common way to make money through Instagram, building your own business can be just as lucrative. If you already have a small business, creating an Instagram account to share your products with potential clients is a great way to increase sales. Start sharing photos and videos of your products being worn or used. Use relevant hashtags to spread awareness of your products to your target audience. Offer Instagram-only promotions and give incentives for users that post content with your products. Making physical products is not the only way to build a business through Instagram. Designers, musicians, and directors will often share content through Instagram to drive sales. If you have a band that wants to sell tickets to an upcoming show, share short videos of your music to generate interest. If you’re a graphic designer looking to freelance, share pictures of your previous work to engage with potential clients. If you have a separate online shop, link to your products in the description of your post. Regardless of what product or service you sell, you can drive sales by connecting with your followers through Instagram. Another great way to make money through Instagram is using affiliate programs. Many companies like Amazon, Clickbank, and Ebay have programs that allow influencers to make money through sales. For example, let’s say there’s a book you just read that you really enjoyed. You think that your followers would really love to read this book, too. If you’re an affiliate with Amazon, you can generate a unique affiliate link. Whenever one of your followers clicks that link and buys the book, you’ll make a small commission for driving the sale. Similarly, many programs offer affiliate promo codes that you can share with your followers. The real advantage of affiliate programs is that you can build consistent, steady revenue streams that last long after you make a new post. If you’ve built a strong follower base with specific tastes and preferences, affiliate links could be an awesome way to make money on Instagram. One of the most common ways that people make money on Instagram is partnering with brands to market products. Models will partner with clothing designers to spread awareness of new clothing lines. Tech bloggers will partner with electronics manufacturers to share new products with their followers. Whether you’re a college student, an artist, or an actor, brands will pay you to market their products. There are a few actionable steps you can take to become a brand partner. First, make sure you have an engaged, focused follower base. Interact frequently with your followers by replying to their comments and sharing content through DM’s. Focus your posts with hashtags that are relevant to the community or niche that you’re a part of. Post quality pictures and videos, and stay up to date on trends in your community. By connecting with your followers, you’ll develop an ability to influence what products they buy and what they’re interested in. If that influence is strong enough, you can add significant value to a brand that wants to sell products to your followers. Find a few products you like to use, and reach out to the companies that make them. You can also use services like Grapevine to find partnerships. Eventually, you’ll develop relationships that you can leverage to start making money through brand partnership.